SUE Solutions successfully completed the Quality Level ‘B’ utility designating services for the SR-68; 6200 South/Redwood Road/I-215 CFI project in Taylorsville, Utah, for UDOT Region 2. SUE Solutions contracted with UDOT utilizing the On-Call contract in place between SUE Solutions and UDOT. This project is an Economic Stimulus project and required UDOT and SUE Solutions to act quickly in getting the project contracted. 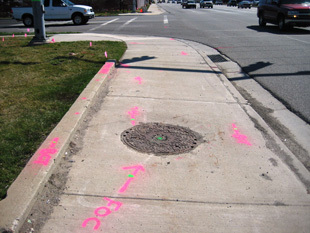 SUE Solutions was able mobilize technicians onto the project within one week of the initial contact made by UDOT. The 6200 South Redwood Road intersection is and has been problematic from a traffic congestion standpoint and is being designed as the State’s 2nd continuous flow intersection, to help relieve some of the congestion. The project will also involve roadway widening, road realignment(s), and traffic signal modifications. SUE Solutions located over 48,000 feet of utilities which included culinary water, phone, CATV, fiber optics (phone & ATMS), power, natural gas, traffic signal facilities, sewer, storm drain, and a 33” aqueduct. SUE Solutions was able to locate these utilities ahead of schedule and under budget, despite an increase in project scope dictated by the project. 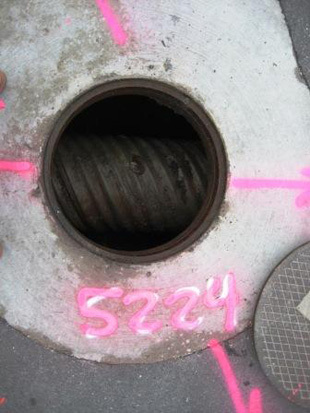 The final deliverable to UDOT included a comprehensive final report making note of critical areas, QL-B mapping, project photographs and description of the utilities located, sewer and storm drain data sheets, and Utility Owner mapping.